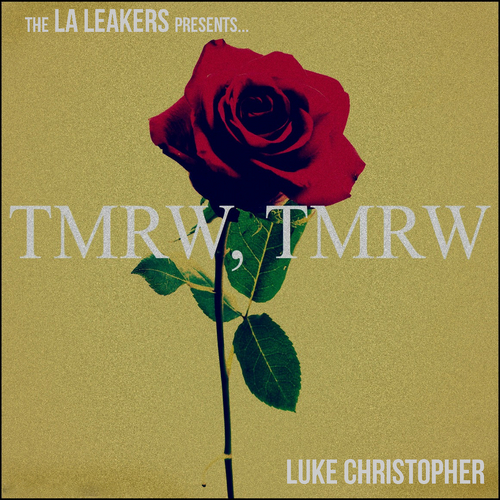 Luke Christopher dropped his brand new mixtape: TMRW, TMRW presented by the LA LEAKERS. Take a moment to read his bio, and enjoy the music! From humble beginnings to the present Luke Christopher has ripened to become an emerging artist on the cusp of greatness, yet he is only 17. His career began just as many others had before him, a young 13 year old wanting to express himself creatively through music with other family members. As their interest waned he pushed forward knowing "eventually everything comes into a full circle." By drawing inspiration from the likes of Stevie Wonder, Common, Kanye West, and Coldplay Luke has crafted a renaissance man approach to his music that see him sing, emcee, write and produce all of every piece he has created. "He is Bruno Mars, Drake, and B.O.B. all wrapped in one." which sounds like quite the comparison but when you place songs like "Make It Last" next to "Pretend" and "I" together you begin to catch a glimpse as to why the comparisons aren't so far fetched. All of this talk "Its Flattering" but "eventually it will be my name". He is truly a talent that blurs the lines of genre's by producing music that reaches much farther then categories. His positive messages reveal an undeniable spirit that is infections to anyone who hears them. It's all something unfathomable from someone who still has to turn in homework assignments on a daily basis. He crafts his music in his parents home under his bunk bed on a home-brewed studio that rivals the sophistication of any mobile studio you may have ever seen; all put together by yes himself. Untrained vocally, self taught musically and with a fresh approach to the creation of his pieces the world has truly never heard a talent quite like Luke Christopher who at the end of the day says "I just want to want to do what I love and be recognized for it, it seems like such a beautiful thing." It's only a matter of time before the world comes to know and love this extraordinary talented young man. Just hope to be one of the first to say I've heard Luke Christopher.